Happy Wednesday All! Monday I posted a recipe for dairy-free chocolate ice cream. Now I am sharing the rest of the stuff. I chose to sandwich the ice cream between two mini pies. Something that has been on my list for about 2 years now. I had to find the right time. Really I think I had to wait for the opportunity to use an actual ice cream maker. ……………………….and I could keep going. See how my brain works? Sometimes I suffer with too much creativity and too many ideas. Which is not a bad thing. I am very thankful and blessed to have so much creativity. When I have to make a choice of what to make it can be a tiny bit overwhelming picking which idea to run with. I had been brain-storming so hard on what flavors to make. I was leaning towards my favorite: chocolate chip cookie dough, just adapting it to gluten and dairy-free. I thought about apple pie. Or maybe a peanut butter cookie. Or some form of cheesecake spin. And then it hit! Most of these I have been trying to make for my husband, who enjoys ice cream, but dairy tears him up. So why not make his favorite? Duh! His favorite happens to be cookies n’ cream with banana. Oreos? I can make that. 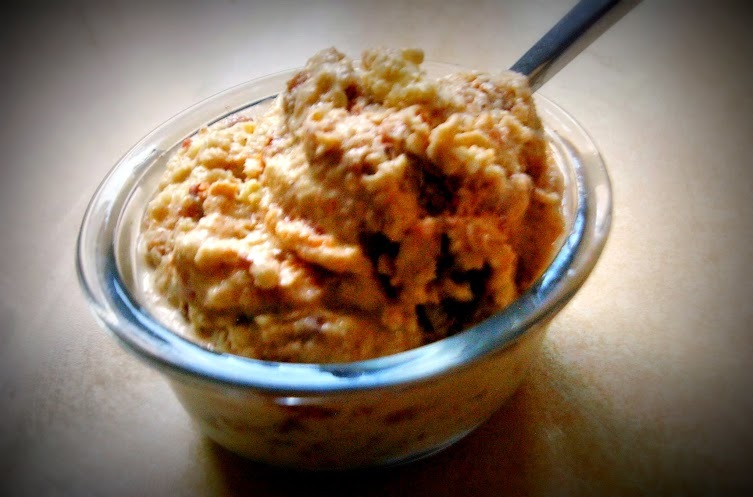 It’s easy to add a banana to the ice cream base, plus it will add some sweetness. I tasted it before freezing and I’ll admit, it was good, but not my favorite of the ones I’ve made (that would be the sweet potato, while Zach’s is the Banana Split). After it froze though, the banana flavor really kicked in and it was wonderful, plus perfect amounts of cookies in each one. If you don’t want banana, it’s easy to adjust, just omit it and add a smidge more honey. I am sorry! I have been slacking lately. Slacking with post frequency. Slacking on quality pictures. I have been changing and mixing things up. I thought June would be a great time to move, change my work schedule, begin weekly farmer’s markets, and start commuting by bike. I love change, but the flow and consistency has definitely been looking and some of my passions like blogging and photo taking (my BeYOUtiful project) have suffered. I am fully aware of this, and I will do better! Here is peach number 2 recipe of the week. When I finished slices my peaches for the crumble, I was left staring at two more peaches. What to do? What to do? What to do? Well, since it is heating back up outside, let’s make ice cream! Amazing! Great combination and layering of flavors. Here we go, no preamble and banter today, we’re just going to launch straight into the recipe. I can’t remember the last time I had real ice cream. I would lean towards years. That’s not to say I don’t enjoy it, I just don’t eat it. Kind of like bread and cookies (or I try to tweak them to fit my needs). I saw an ad for Blizzard’s the other day and it made me reflect back to my childhood. We didn’t eat out often, so any time we got a treat while running around town, was a mini celebration of its own. I like my father, had a fondness for cookie dough ice cream. Naturally I decided to take the ad, incorporate my nostalgia, and make it something better. Here is what I came up with! 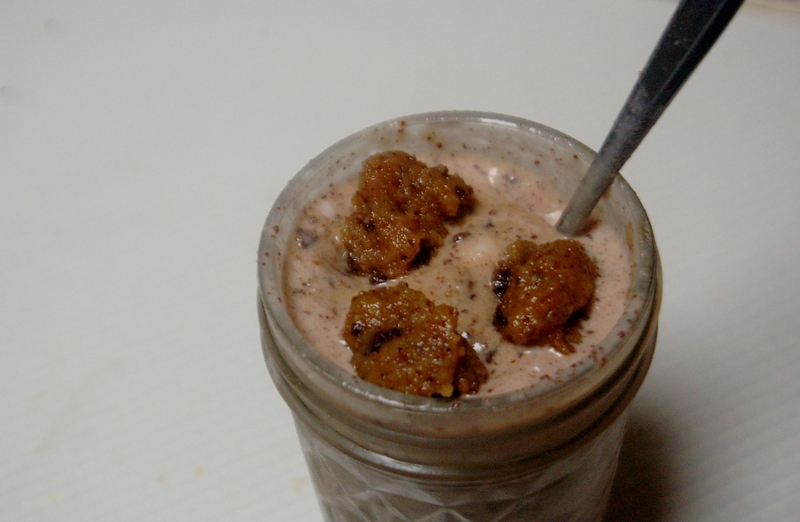 Let’s Make it Happen: Mix honey, milk, and chopped chocolate. Freeze in a glass container. Keep a close eye on it. I didn’t want it to freeze completely solid. Meanwhile mix cookie recipe. Roll into thin little balls. Arrange on a plate. Freeze these as well. 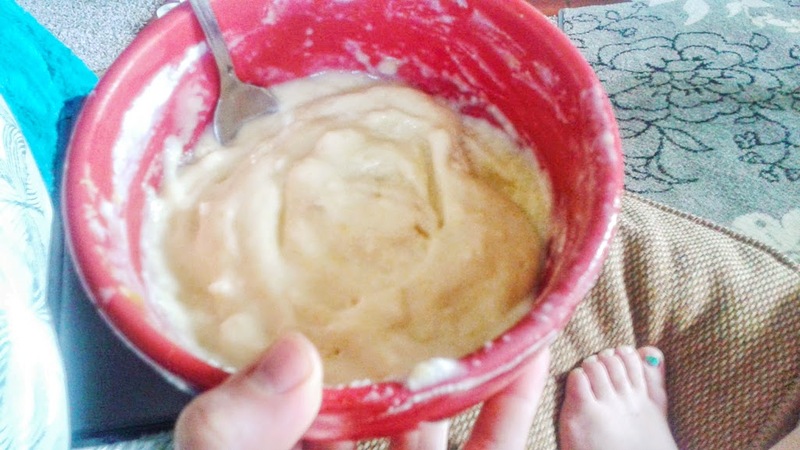 Blend the ice cream a little bit more when you take it out. Toss in the cookie dough bits, stir, and you are in Blizzard bliss!